More than eight months after a fire turned his life upside down, Matthew Badger remains determined to keep his daughters' memories alive. 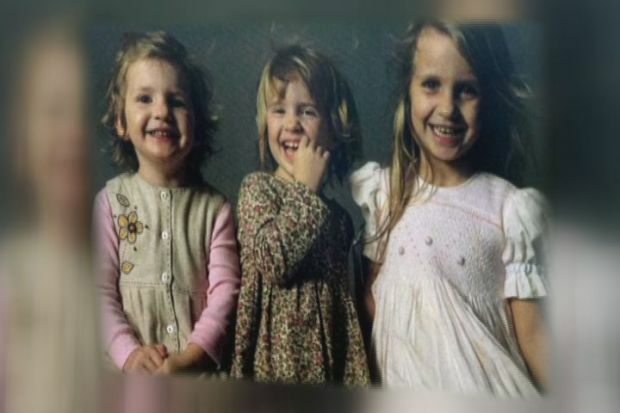 Lily, 9 and her twin sisters Sarah and Grace, both 7, perished during a Christmas Day fire in their Stamford home. Their grandparents also died in the blaze. "I miss my girls because they were my life," said Badger, who has made it his mission to make sure their names live on. Badger set up the Lily Sarah Grace Fund to support arts programs in underfunded schools around the country. The father of Lily, Sarah, and Grace Badger, who died in a Christmas Day fire in Stamford, carries on their legacy by helping students across the country. "When I work on this fund, it makes me feel like I'm loving my girls again," Badger said. Badger's oldest daughter, Lily, had a tough time in school, but she had a passionate interest in art. "I think we understand there are all kinds of learners out there," he said. The fund has already helped 65,000 students across the country. On Thursday night, Badger was in Norwalk to help raise money for schools there. At the event, West Haven elementary school teacher Donna Pitts was one of the first in Connecticut to be awarded a grant from the fund. "He took something horrific in his life and turned it into a positive," Pitts said. There are still many questions that linger about that awful Christmas morning. Asked if someone should be held responsible for the fire, Badger said, "That's a question I can't answer." Badger filed a lawsuit against the City of Stamford as well as Michael Borcina, the boyfriend of his ex-wife, Madonna Badger. Borcina and Madonna Badger escaped from the fire. Even though months have passed since the terrible day, Matthew Badger said it will never get any easier. There are days of incredible despair, he said, but he goes on in the name of his daughters, Lily, Sarah and Grace. "I'm just a father that loves his girls and continues to love his girls," he said. If you'd like to help out the Lily Sarah Grace Fund, just click on this link.